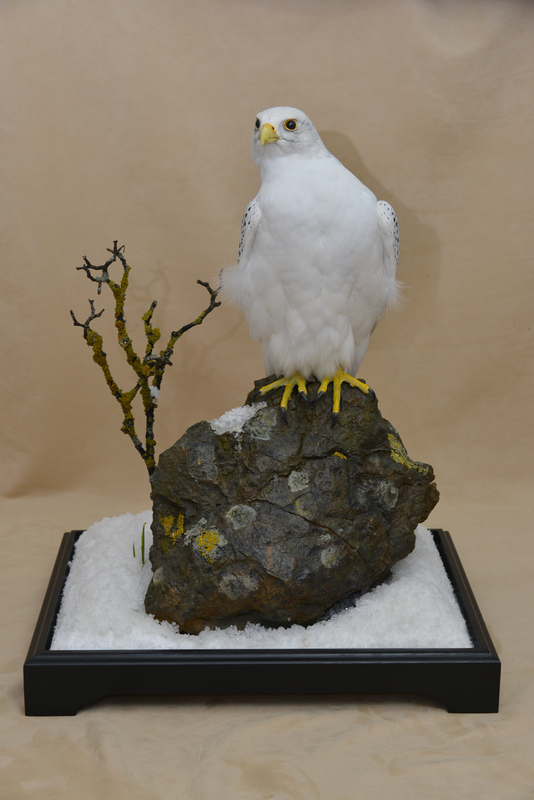 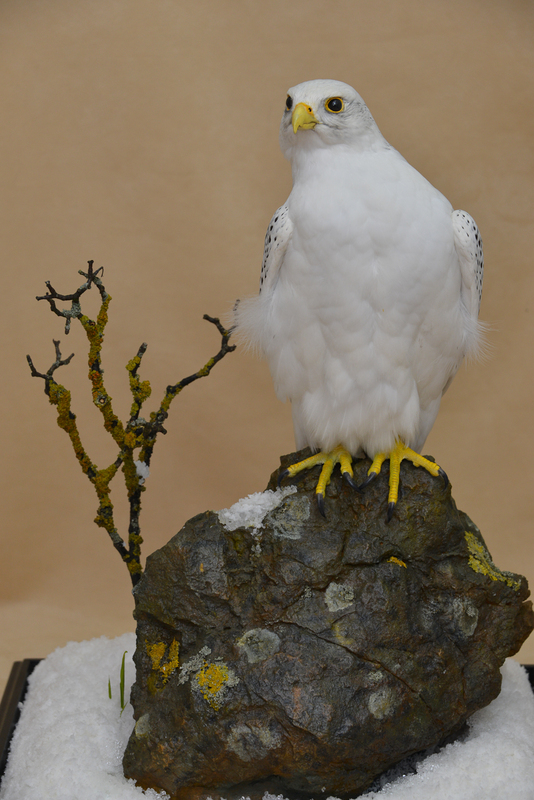 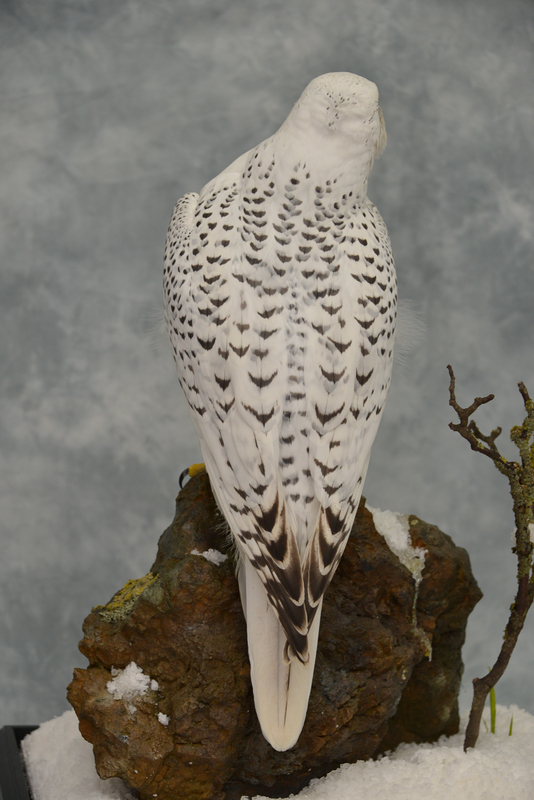 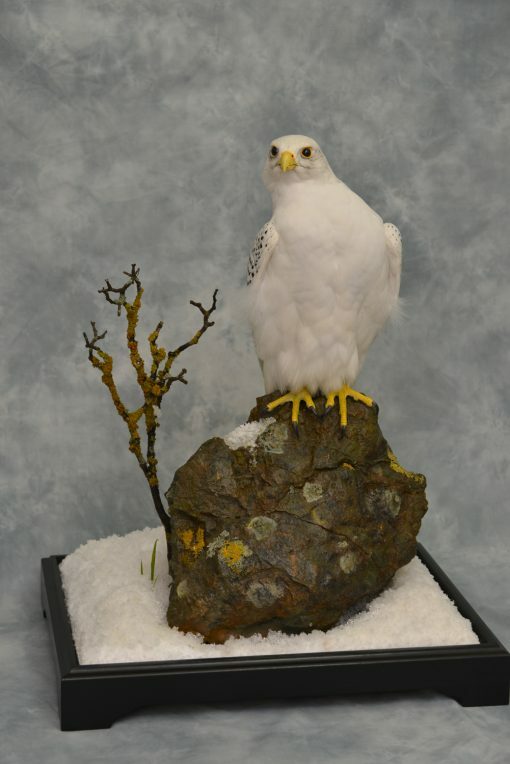 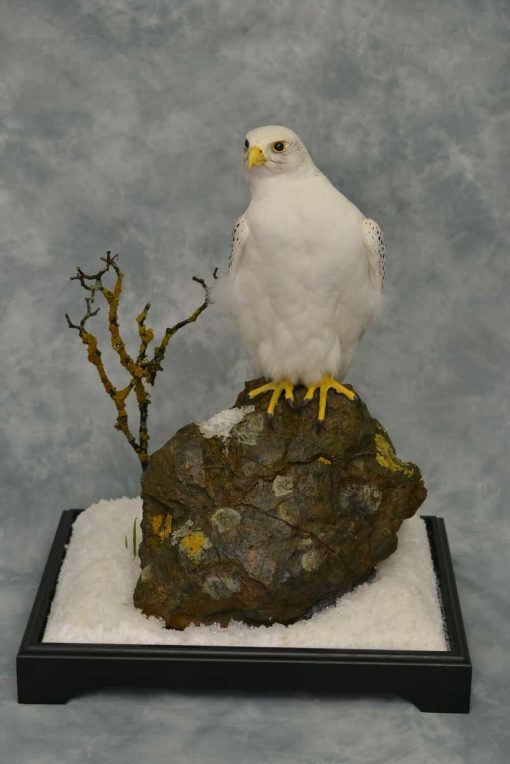 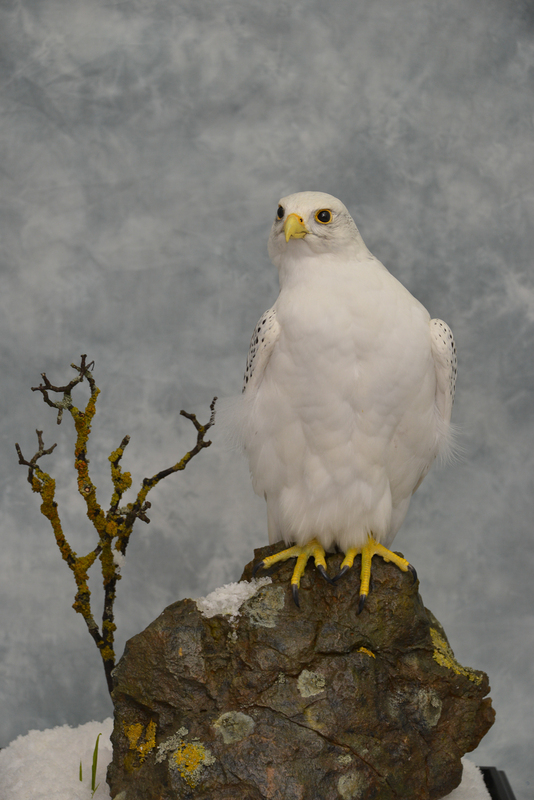 This was a customer’s white Gyrfalcon, he requested the bird to be mounted in a similar position to a Gyrfalcon I did some time ago with its head on one side. 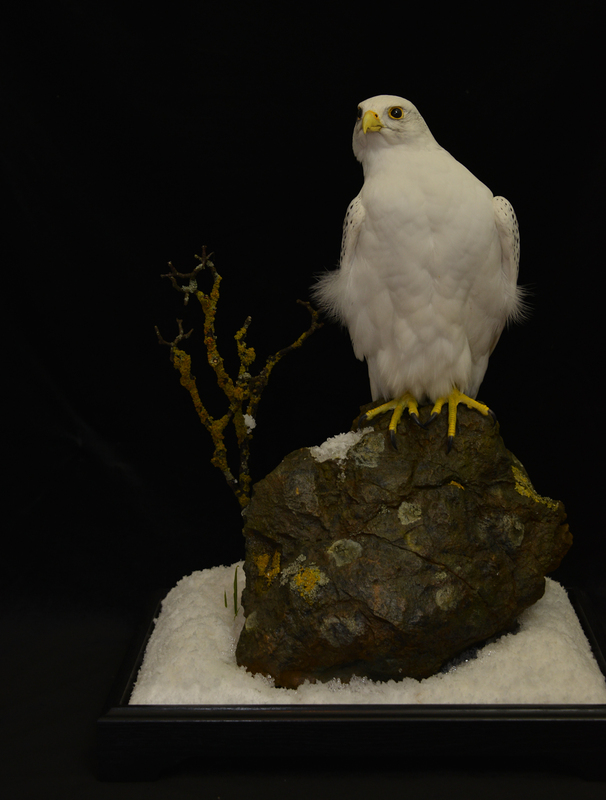 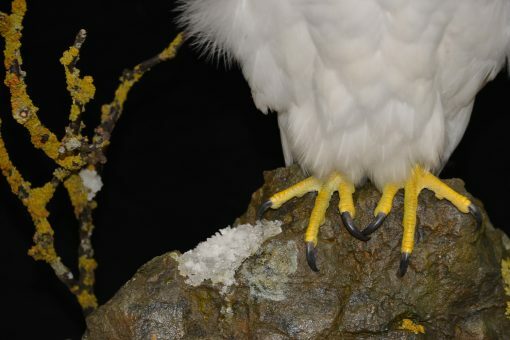 The original idea for this came from a game fair I attended and whilst observing the birds of prey in the falconry section knelt down to take a photo of a gyrfalcon. 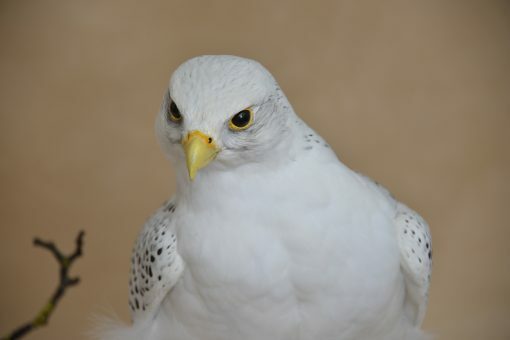 As I was in front of the bird its keeper started to approach from behind me and the bird craned its neck to one side to see what he was doing. I got a good photo and this is my second attempt at trying to re-capture that scene this time with a white Gyrfalcon. 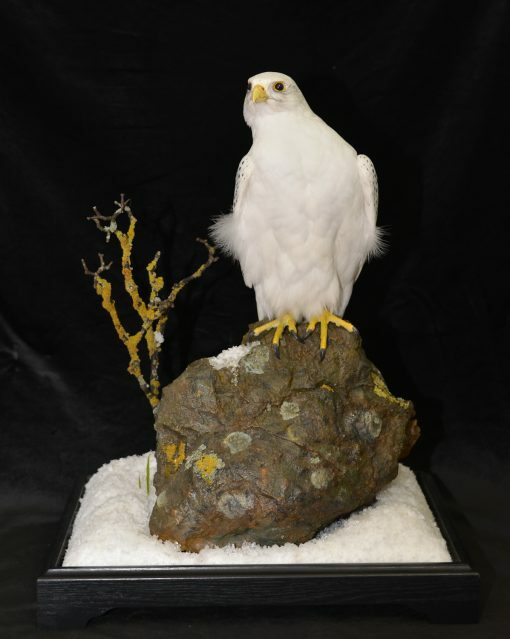 The Bird was presented at the UK Guild of Taxidermy annual competitions in march 2014, the bird lost peoples choice “UK Bird Competition” to an very nice Bittern by Willy Hails breaking my six year run so well don to willy, it did however manage to win the new “Breakthrough Judges Choice Best of Show” awarded by Breakthrough Taxidermy. 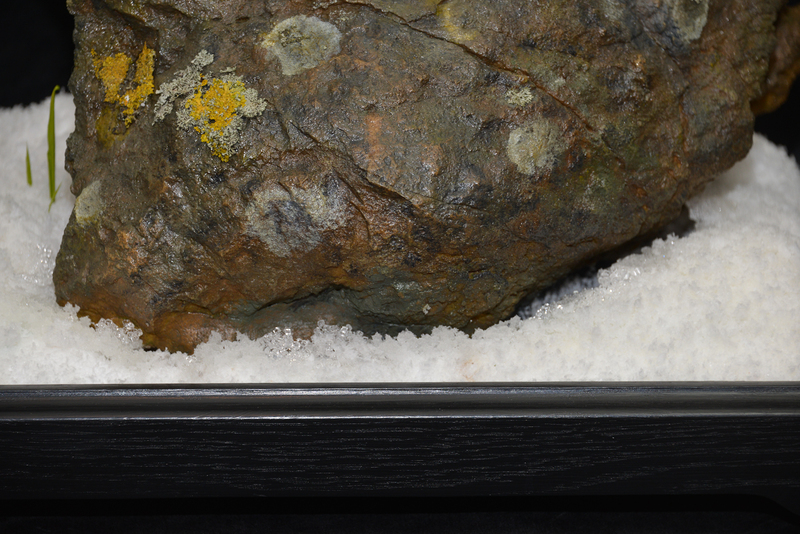 The rock is a cast of some magnesium limestone and a mix of cures lichen and painted lichen. 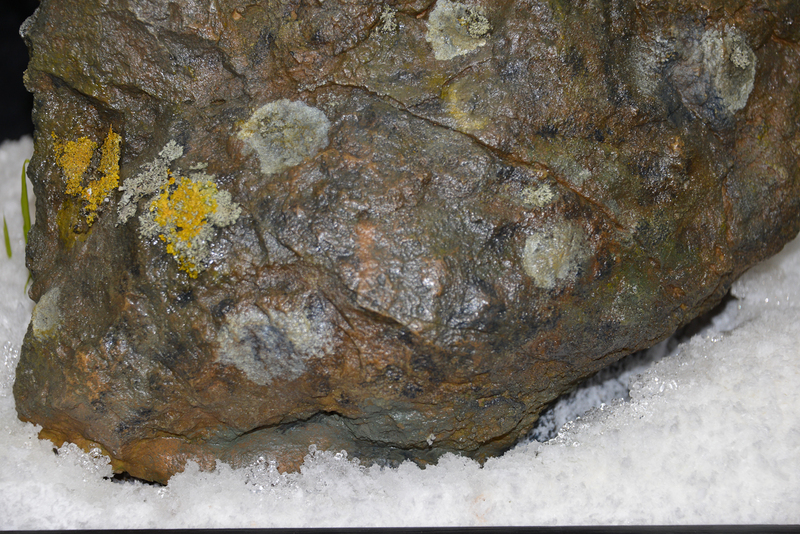 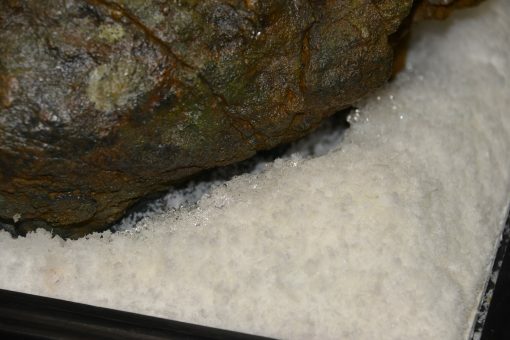 I tried to recreate the effect of snow melting and having slid off he rock and there being ice crystals around the edge of the rock, with a bit of melting snow in one part of the rock. 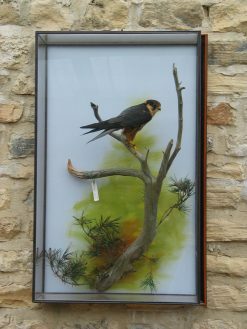 The bird failed a credit due to problems with the eyes. 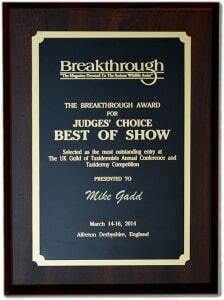 I have no real excuse just the usual not paying enough attention and the “gone blind” stage crept in. 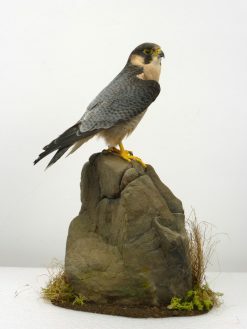 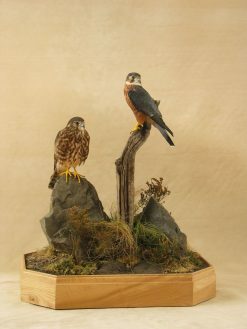 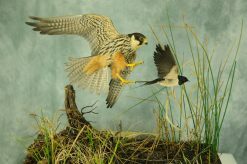 More about the UK Guild of Taxidermy Competitions and Events. 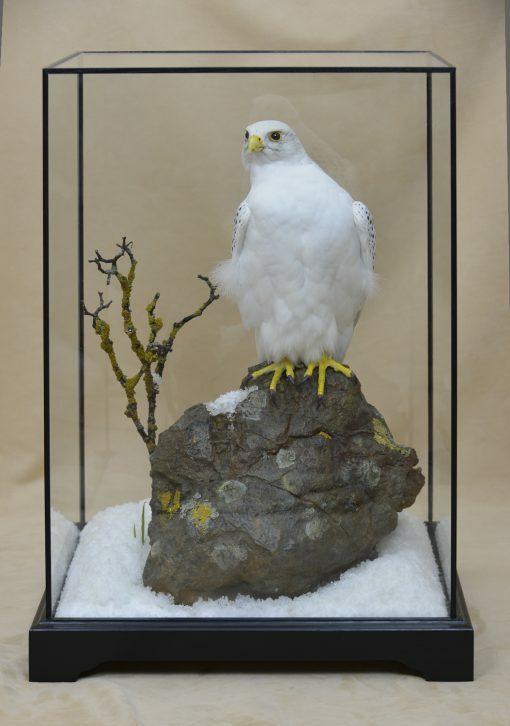 A10: not required as customers own bird.